wow nice scan u used, can u tell me the link? wow, that's a really cooool wallpaper. cagalli looks so pretty there and the dress really suits her. The background i so beautiful and fits well with her character. She's so pretty, and i love the colours. Cool! Seriosly, that wallpaper looks so cool and Cagalli looks so beautiful in that dress(I wished she wore that in GSD or GS, it would have looked god on her hehe). Thanks for sharing and I hope you do more in the future! I think this wall it's so beautiful, great job! 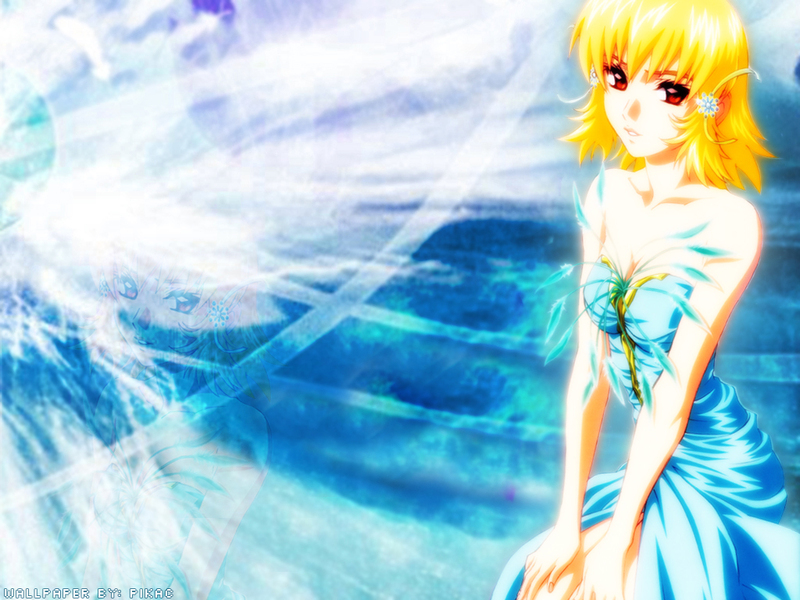 the colors are nice and the icy blue touch is a perfect match for Cagalli's dress. But I feel you could've have done something more to the background. It's missing a lot of pieces... Hehe... But hey I love this Cagalli wallpaper. This is a very cute wallie of Cagalli! The colors are so pretty and she looks gorgeous! cagalli looked very innocent here!